6? 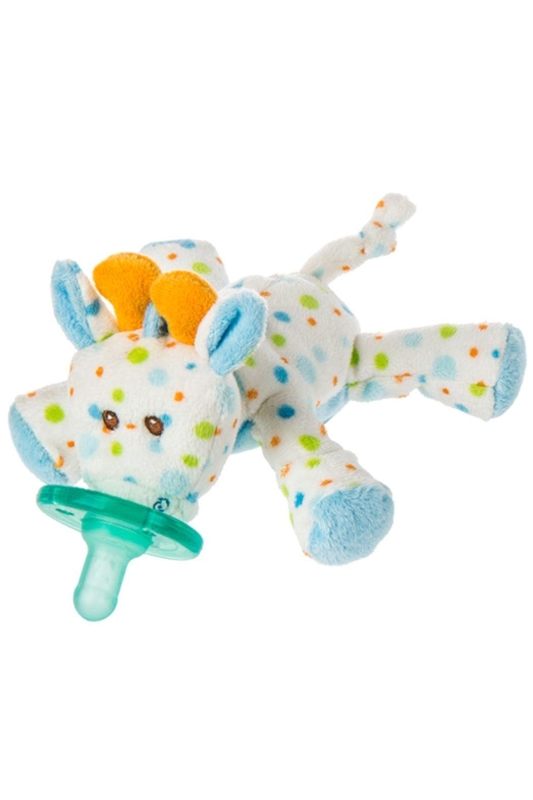 giraffe WubbaNub with sewn-in Soothie brand pacifier, a Mary Meyer exclusive license. WubbaNub infant pacifiers have become almost a necessity for all new moms. A truly soothing gift, WubbaNub benefits are many. Packaged for gift giving. Machine washable. Latex-free, medical grade silicone Soothie pacifier. BPA, PVC, and Phthalate free. No pacifier cords or clips. 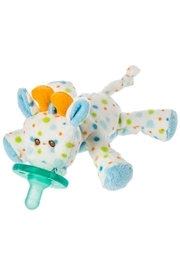 Plush animal makes it easy for baby to grasp and manipulate the pacifier.